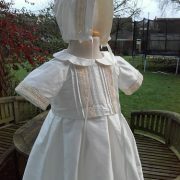 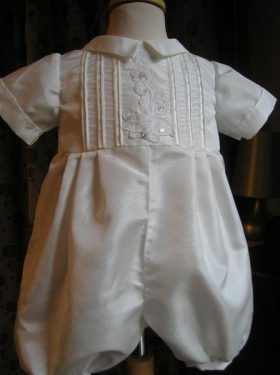 A Designer Christening Gown Romper Combination for boys by Little Doves. 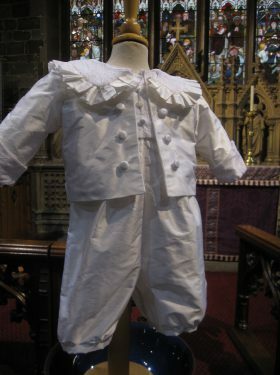 The perfect solution for your son's baptism day. 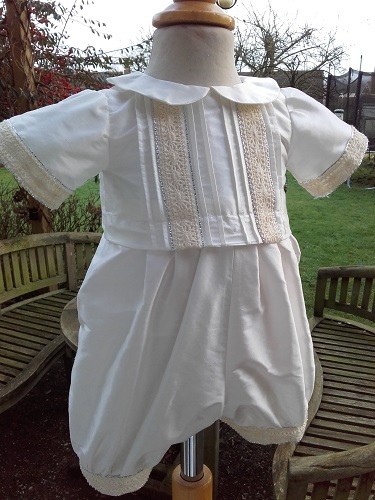 Similar to all our other gown/romper outfits, this beautiful silk designer Christening Gown/Romper comprises a romper with a mock waistband that carefully conceals fasteners for a skirt to join. 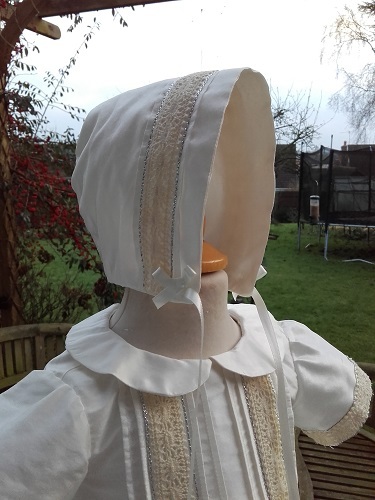 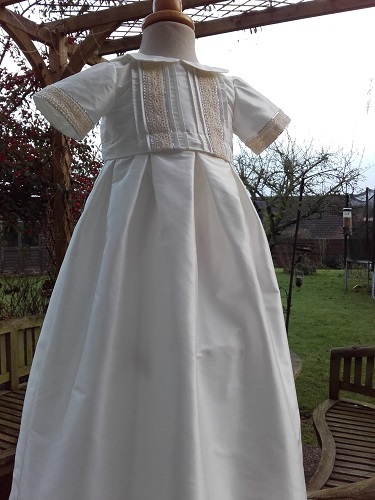 So, for the baptism ceremony the baby will wear the full gown and then afterwards the skirt is removed to reveal the little romper underneath. 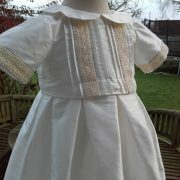 The bodice has dainty pintucks surrounding vintage braid inserts. 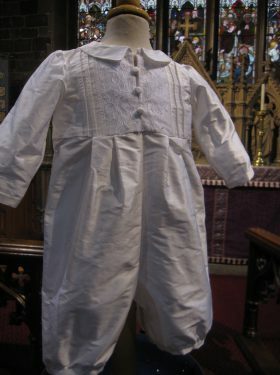 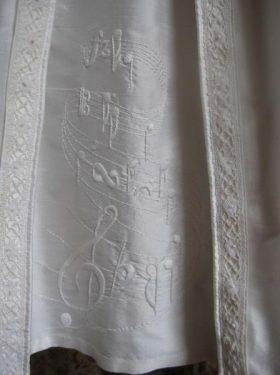 Pintucks are timeless and their use creates an elegant touch to any baptism outfit. 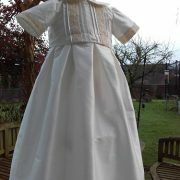 The skirt is pleated into the waistband and has pintuck detail on the hemline to tie in with the bodice. 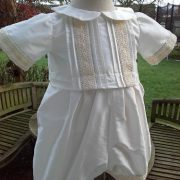 The little shirt style collar and the short sleeves compliment the classic style. 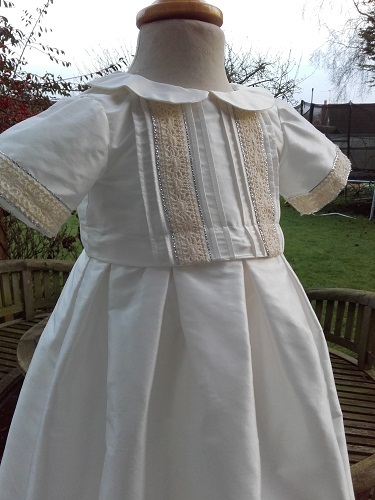 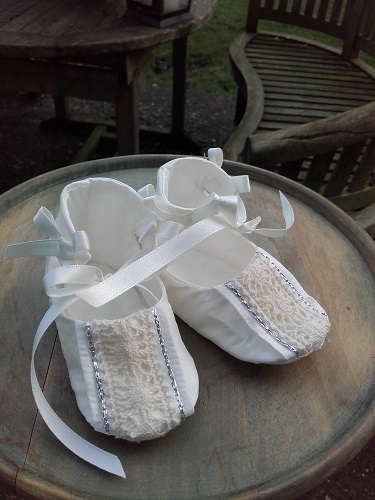 This Oliver christening gown romper combination can be made in white silk with silver trimmed ribbon or in ivory silk with gold trimmed ribbon. .
All in all, another classic style for you to choose. 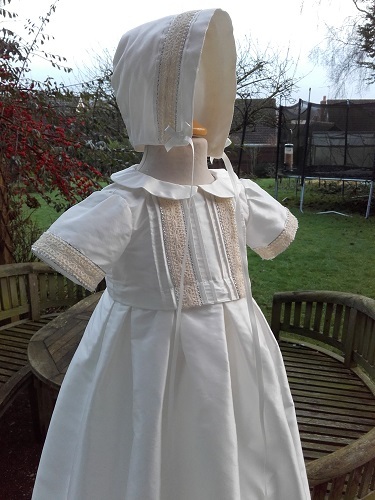 A range of matching gifts and accessories are available for purchase. 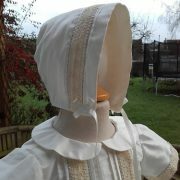 Caps, bonnets, bibs and booties can all be created. 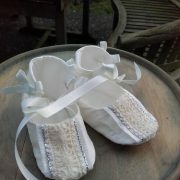 Please order these items from the accessories page and we will ensure they are created to accompany the gown/romper.